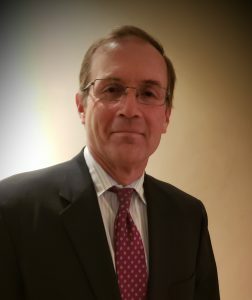 Washington, DC, January 7, 2019 – Universities Research Association (URA) is pleased to announce the appointment of two outstanding individuals to fill new senior positions: Mr. Ted Wackler, Deputy Executive Director of URA, and Dr. Ian Anderson, Director of the URA Sandia Site Office in Albuquerque, NM. As Deputy Executive Director and an Officer of URA, Mr. Wackler will assist the Executive Director in the oversight and implementation of URA’s responsibilities at Fermilab and Sandia and in the effective operation and management of URA’s financial, human, and physical resources. He will also provide leadership in the formulation of URA policy and strategy. URA also welcomes Dr. Ian Anderson as the Director of the new URA Sandia Site Office in Albuquerque, New Mexico. 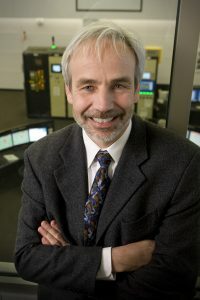 Dr. Anderson was most recently Director of the University Partnerships and Graduate Education Programs at Oak Ridge National Laboratory (ORNL) and previously Associate Laboratory Director for Neutron Sciences overseeing the operation and scientific activity of the Spallation Neutron Source (SNS) and the High Flux Isotope Reactor (HFIR). Earlier Dr. Anderson led the Experimental Facilities Division and the Neutron Scattering Science Division at ORNL and the Neutron Optics Laboratory at the Institut Laue-Langevin in Grenoble, France. He earned Ph.D. and M.Sc. degrees in physics from Birmingham University and B.A. and M.A. degrees in natural sciences from Cambridge University, England. As the inaugural director of the new URA office in Albuquerque, in collaboration with the science and engineering leadership team at Sandia, Dr. Anderson is responsible for implementing URA’s commitment to furthering scientific excellence at Sandia and strengthening collaboration between Sandia and the university community. URA has been the DOE contractor for the management and operation of Fermilab since 1967, a responsibility it has shared with the University of Chicago since 2007 through the Fermi Research Alliance, LLC (FRA). URA is also a member of the Honeywell-led team, National Technology and Engineering Solutions for Sandia (NTESS), awarded the DOE/NNSA contract in 2016 for the operation of the Sandia National Laboratories. Additionally, URA serves as the PI institution for the NSF award supporting US participation in the operation of the 15-country Pierre Auger cosmic ray observatory in Argentina.